Combo of the SLR I posed a few days ago, an R8 and a Bentley. I dint have a tripod so it was really hard to get a good shot.. Which one for you? Stunning Marc! Proud to give this shot it's 70th like. Crazy Flying Spur.. nice shot! @connmann36: Yeah seams like most people would, me included! 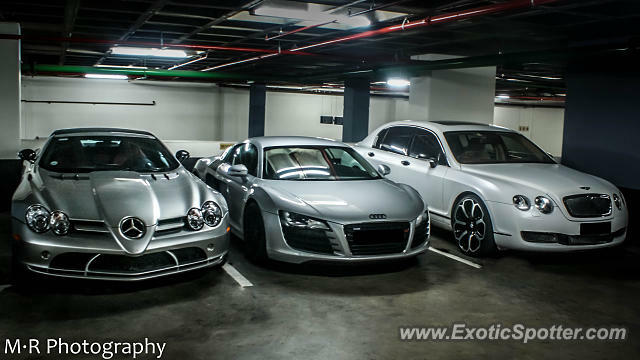 I would take the R8. Awesome Combo! R8 for me! Great Shot too! Great combo! Definitely the SLR for me.